The Florida Panthers and Anaheim Ducks will faceoff against each other for the first time this season. Both teams will be looking for the crucial two points in result. This game is a crucial one if the Panthers want to make serious strides above opponents in the standings. While the Panthers currently sit at fifth place in the Atlantic, their opponent are sitting at an impressive second place in the Pacific division. 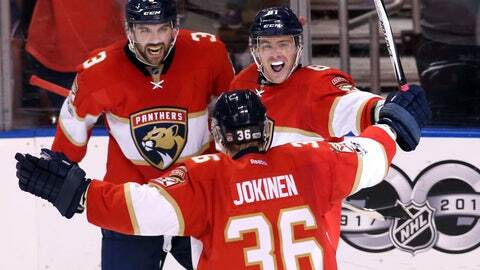 Your Florida Panthers are currently coming off a 6-5 home win against the Ottawa Senators. Despite scoring six times against the Sens, the defensive side of things weren’t quite pretty. Defense was struggling to find their groove during last game, and made some costly turnovers which resulted in the back of the net. Expect Tom to go over last game’s footage with the defense. For Florida, it’s important that they get off to another quick start from the minute the puck drops. Keeping the game simple will be the key to success. Short shifts, dump and chase, and solid puck movement will be what the Cats need to do in order to beat the Ducks. This Anaheim team takes no prisoners, and will punish you when the time arises. Costly turnovers in which we saw last game will be the death of us if we don’t eliminate it. 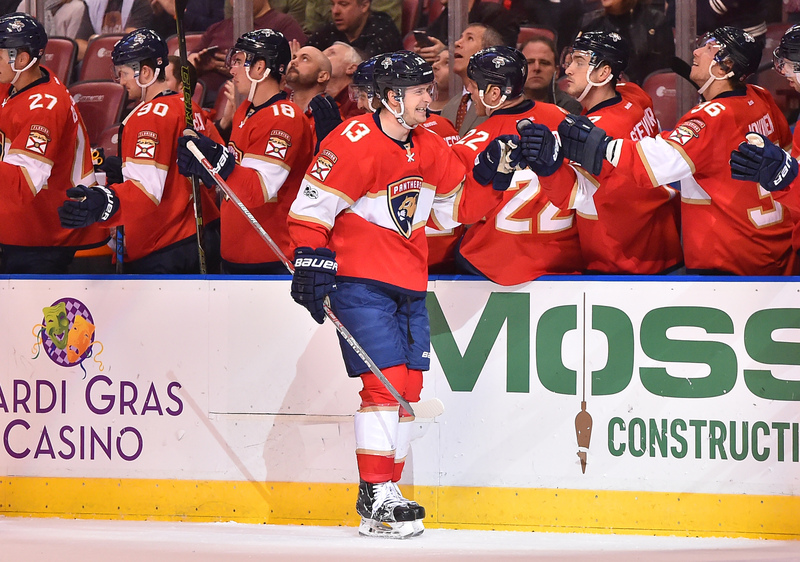 So, who’s hot for the Florida Panthers right now?. 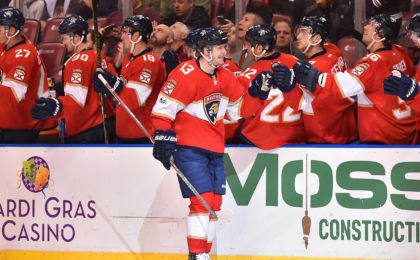 Well, Jonathan Marchessault currently has five points in his last five games (2G, 3A), and Vincent Trocheck is chugging along with three points in his last five games as well (2G, 1A). Expect other guys such as Jagr, Smith, and even Jokinen to jump on the score sheet, to ease the load off of both Marchessault and Trocheck. 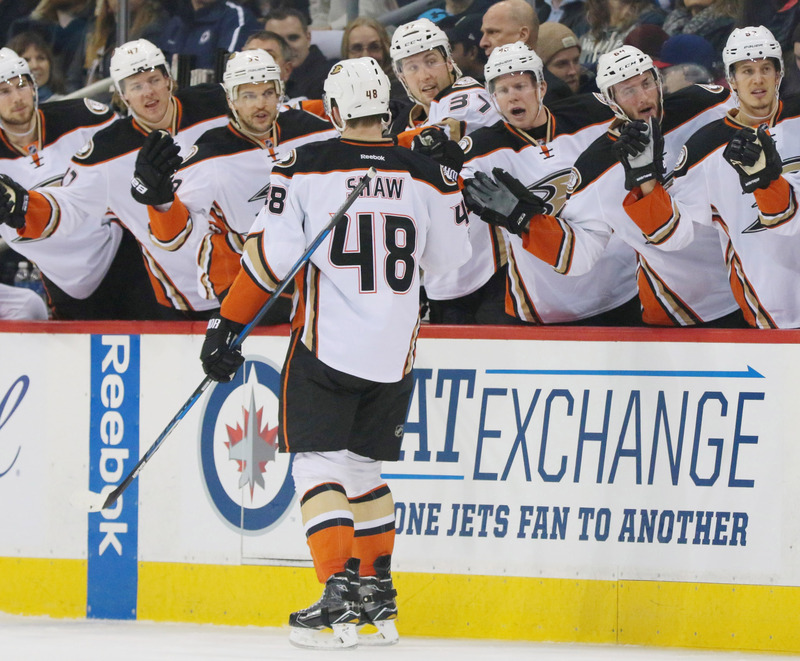 The Anaheim Ducks are coming off a big win against the Colorado Avalanche. After thumping the Avs 5-1, it’s certainly clear that the Ducks are not short on confidence. The Ducks have been nothing short of impressive this year, and are currently sitting at second in the Pacific division. Fast, big, and hungry are all attributes that go along with this successful Ducks team. Randy Carlyle does a good job with preparing his team game in and game out. Expect the Ducks to come out hard and hungry for the two points. For Anaheim, its critical that they don’t have any meltdowns on their defensive end. At certain points of the year we have seen them breakdown defensively. Offensively the Ducks will always be fine with Perry, Getzlaf, and Kesler leading the way. The Ducks main focus will be entirely on their defensive end, and it will be up to Cam Fowler to lead the way, and get the job done defensively. Heading into this game, which players on the Ducks are on a hot streak? Most certainly, yours truly Ryan Getzlaf has four points in his last five games (1G, 3A), and surprisingly enough, Cam Fowler holds an impressive four points in his last five outings (2G, 2A), considering he’s a defenseman. Want your voice heard? Join the The Rat Trick team!